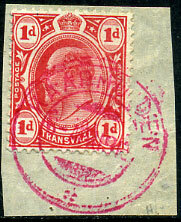 in red dated NO 1 83 on QV 1d drab (SG.39). 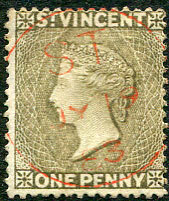 in red dated SP 1 83 on QV 1d drab (SG.39), seemingly with repaired lower right corner perf. 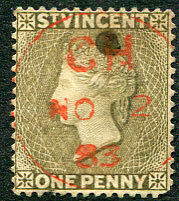 in red dated OC 23 83 on QV 1d drab (SG.39). 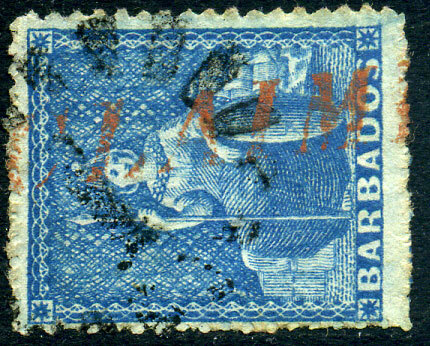 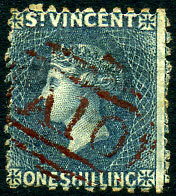 in red dated MY 10 76 on 1875 QV deep blue-green (SG.19b, Cat.£50), some reverse edge toning. 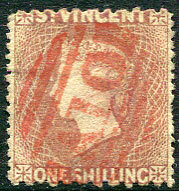 in red dated NO 2 83 on QV 1d drab (SG.39), facial ink blob and perf. 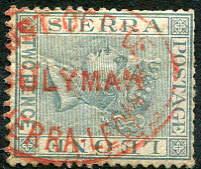 faulta at base. 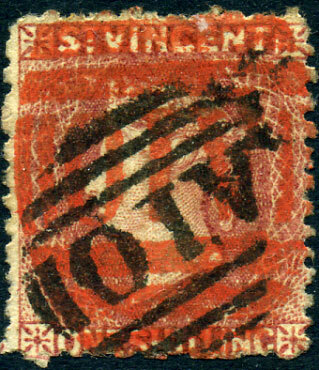 (16 bar) in brownish-red on 1d (SG.1). 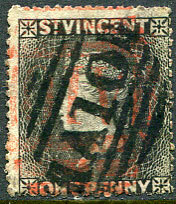 (11 bar) in red on 2d (SG.49), light vertical crease. 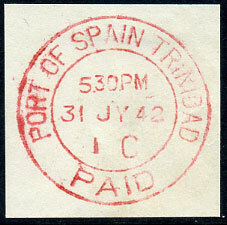 (T.2) in red dated A/AP 17 96 on QV 2½d. 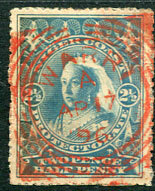 in red ink dated AP 2 83 on QV 1d drab (SG.39), blue reverse facial stain. 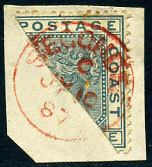 in red part dated OC 2 (either 75 or 76 use) on 1875 QV 6d deep blue-green (SG.19b, Cat.£50). 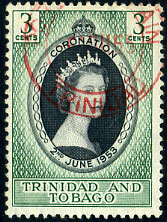 in red dated MR 19 73 overstruck black horiz. 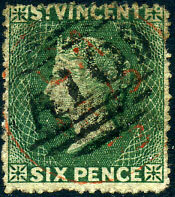 "A10" on 1871 QV 6d deep green (SG.16, Cat.£70). 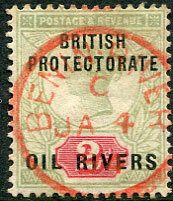 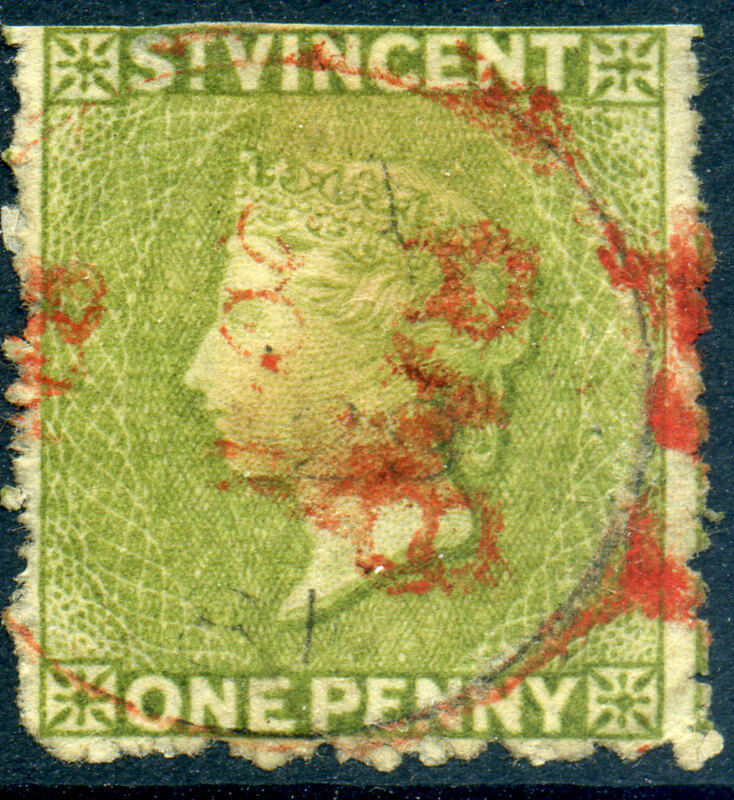 in red dated NO 18 80 on QV 1d olive-green (SG.29). 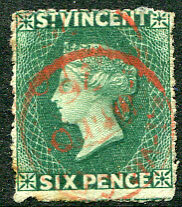 in red on 1875 QV 6d deep blue-green (SG.19b). 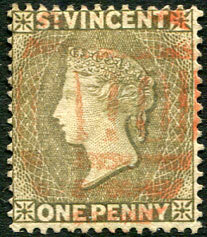 red horizontal on QV 1/- claret (SG.21, Cat.£250), tiny tear at base. 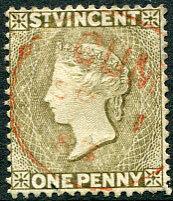 (16 bar) in red on 6d pale rose (SG.4). 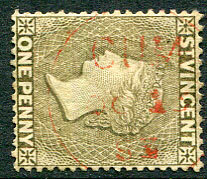 in red dated OC 1 74 on QV 1d black (SG.18), large part torn away top left. 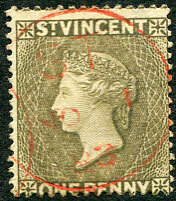 (PML.5) in red on QV 1d black sideways star wmk (SG.22). 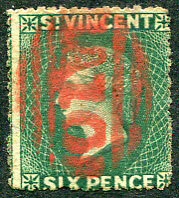 (16 bar) in red ink on 2d (SG.49). 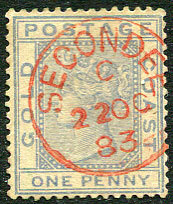 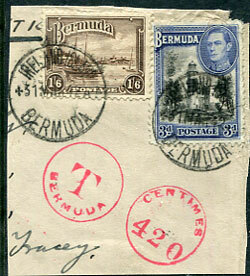 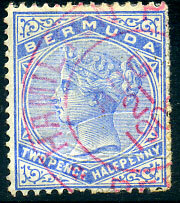 (T.2) in red dated C/SP 2 89 on QV 6d (SG.17a), thinning top left corner. 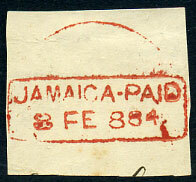 in red ink dated 6 APL 13 on KE7 1d (SG.274) piece. 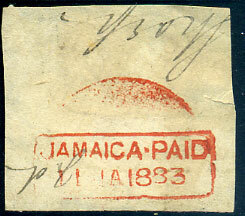 in red dated MR 1 73 overstruck black horiz. 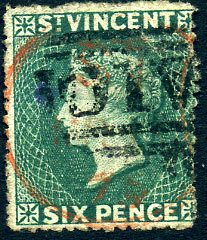 A10 on 1871 QV 6d deep green (SG.16), purple stain. 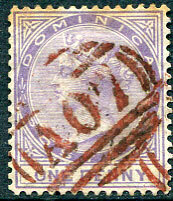 (146.02) in magenta on QV ½d CA wmk (SG.27), smaller facial scuffs. 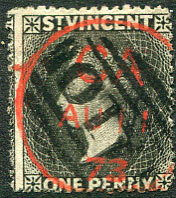 (146.02) in red on QV 1d CA wmk (SG.28).